At the southwest corner of Grove and Gough Streets in Hayes Valley, this development by David Baker and Partners is planned to bring 63 new flats and townhouses to the neighborhood. 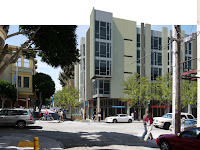 Just block from the newly widened Octavia Street that boasts boutique shops, Gough Street will have storefronts that will make up a pedestrian-friendly retail row, with prominent corner facades at both Ivy and Grove. 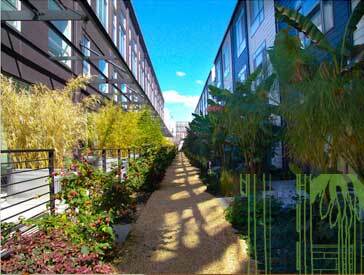 The main building entry along with the townhouses will face the shaded, low profile Ivy Street. Behind, homes will surround the courtyard and will feature terraces and decks. David Baker and Partners is also responsible for the spectacular PC Lofts in West Oakland. This transformative development in West Oakland is just a quick drive over the bridge to SF. The development just became Green Rated by Build It Green and has won numerous awards like "Best Adaptive Reuse Project, James Hardy Design Award and National Landscape Award."